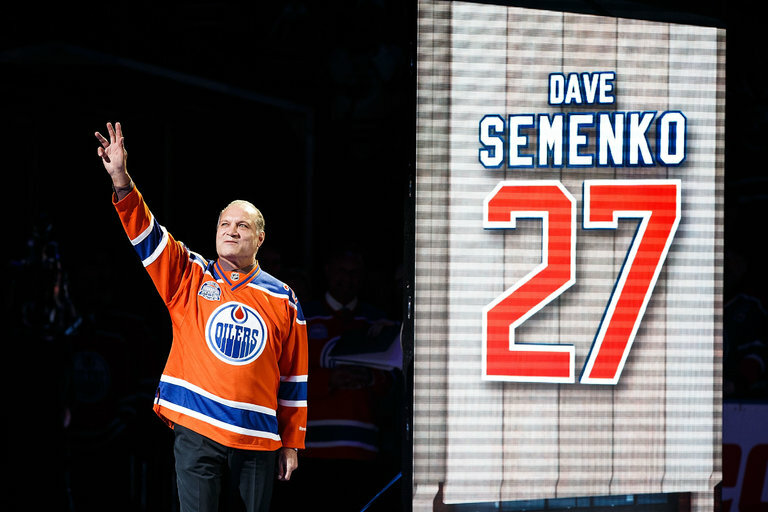 Dave Semenko in April 2016 on the night of the Edmonton Oilers’ last game at Rexall Place. Dave Semenko, the Edmonton Oilers tough guy who protected Wayne Gretzky in the 1980s, died on Thursday in Edmonton, Alberta. He was 59. The cause was cancer, the team said in a statement. Semenko was Gretzky’s bodyguard in the rink for parts of 10 seasons with the Oilers, first in the World Hockey Association and then in the National Hockey League, which the Oilers joined in 1979 when the leagues merged. He helped Edmonton win the Stanley Cup in 1984 and 1985. In an era in which hulking enforcers roamed the ice alongside the league’s top stars, Semenko was one of the toughest. He had plenty of competition, often going toe to toe with the likes of Bob Probert, Basil McRae and Tim Hunter, who served a similar role for the rival Calgary Flames.